This text teaches the reader how to get to the front of the pack and stay there, giving them the tools and encouragement to achieve their own success. Using the Dell Computer Corporation as a paradigm, Michael Dell charts the way to the top and then explains how to stay there. At the age of 12 Michael Dell earned $2000 selling stamps on consignment and by the age of 18 he was selling customized PCs from his dorm room. Since then he has founded one of the most successful computer businesses in the world, a company that has continually improved upon its own success by learning from its own mistakes. This book teaches the reader how to get to the front of the pack and stay there, giving them the tools and encouragement to achieve their own success. 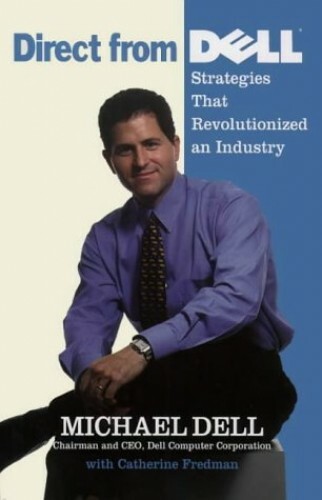 Using the Dell Computer Corporation as a paradigm, Michael Dell charts the way to the top and then explains how to stay there. Taking the r eader step by step through his own career, Dell explains the basis of his company's direct model process, describes mistakes they have made and the lessons they engendered, demonstrates the advantages of disciplined planning, explores the opportunities provided by the internet, and provides insight into relationships with employees, customers and suppliers.